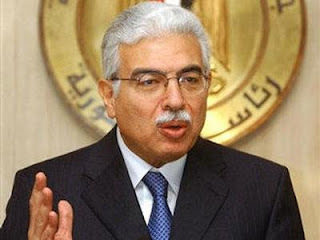 CAIRO (AFP) - An Egyptian court on Thursday sentenced former prime minister Ahmed Nazif to three years in prison and to pay a fine of nine million Egyptian pounds (S$1.8 million) for illegal enrichment. Nazif, who left his post in late January 2011 at the start of a popular revolt against then president Hosni Mubarak, was accused of abusing his post to make illegal gains, the official Mena news agency reported. The Egyptian judiciary has put on trial several senior officials and businessmen close to the Mubarak regime since its ouster on Feb 11, 2011, including the long-time leader and his sons. Nazif, who was close to business circles and viewed as the architect of economic liberalisation in Egypt, was charged in July 2011 after being accused of having appropriated state property and embezzling public funds.